When the explorer.exe crashes, usually after showing you an error message that reads Windows Explorer has stopped working (it could also be any other app that has stopped working), your Windows will be left with a blank screen and a working mouse cursor. This is a common case if you’ve just applied Windows Update, especially the recent Windows 10 April Update v1803. The explorer.exe crashing error may happen randomly from time to time. Here’s a few workarounds you can try to resolve the problem. If you are in a rush and just want to bring the Windows Explorer back so that you can continue your work now. Here’s how to do it. This will restart the entire Windows Explorer, aka explorer.exe. Restarting explorer.exe this way is just a temporary workaround to allow you to continue your work immediately. If the source of the problem is not found and fixed, sooner or later it will crash again and possibly affect your works. The explorer.exe error crashing is a known bug if you’ve just upgraded to Windows 10 April update. It’s been reported that the issue is related to the new Timeline feature and how Microsoft sync activities between your devices. So, temporary turning off the syncing of the Timeline feature may solve the problem. Do this only if you don’t mind wiping off your activity history and not using the Timeline feature. Here’s how to do it. Go to Start Menu. Click on Settings (gear icon). From the left pane, select Activity History. 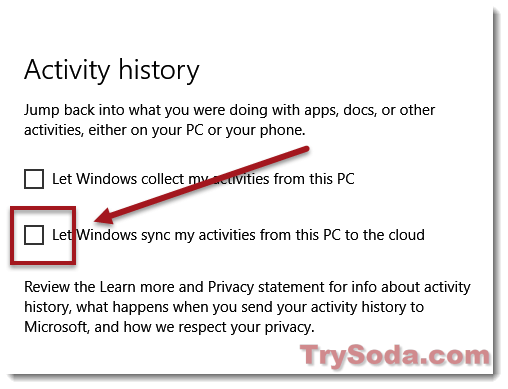 Uncheck “Let Windows sync my activities from this PC to the cloud“. From the left pane, go to General, then go back to Activity History. This is to allow the setting page to refresh. Click the Clear button under Clear activity history. If this doesn’t solve the problem, just repeat the step and turn the feature back on. Microsoft is always trying their best to fix issues caused by their updates as quick as they can. The explorer.exe crashing error may have already patched and fixed. Try to run the Windows Update now to see if there is any update that fixes the issue. You may have corrupted system files which affects how explorer.exe works. System file checker can automatically find and repair any broken Windows file including the explorer.exe. By running a system file check, it may solve the issue. Type cmd to search for command prompt. In the command prompt, type the following command and press Enter. System file check will now begin its scan. If any issue is found, it will automatically repair them. 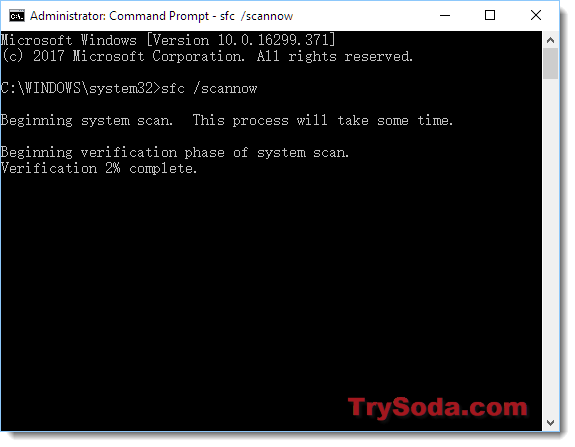 Restart your computer when the scan is completed. Since you have just updated your OS, your video driver might not be properly compatible especially when you have not been updating your video driver. An outdated video driver can cause Windows Explorer to crash. By right, Windows Update will pull the best driver that it thinks matches your graphic card from its database and automatically update the driver for you. But, if you have a very high end or specific video card, you will have to manually download from your manufacturer website and install it. For example, go to amd.com for your ATI video card or nvidia.com for Geforce card. In some rare cases where you have a built-in video card on your motherboard, you will need to head to your motherboard manufacturer’s website to look for the latest video driver for your model. It’s hard to tell what causes the explorer.exe to crash. It could be any app that isn’t yet compatible with the new Windows Update which causes the explorer.exe crashing error. You will need to identify the problematic app and decide if you want to remove it. If the explorer.exe crash when you open a certain app, this particular app might be the cause of the problem. Try to remove it and see if the problem persists. If you need the app for your work, try to update it instead. If you’re not running any app at all but the explorer.exe still crashes randomly on your desktop, check all the startup programs. Disable them one by one until Windows explorer no longer crashes. You can access to the startup program list from MSconfig. Go to Start menu, search for msconfig and open it. Go to Startup tab, then click on Open Task Manager. Click the status to sort the list. From there you can disable your startup programs in Windows 10. 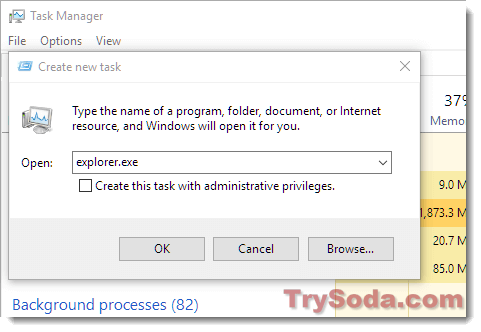 If Windows doesn’t allow you to remove a program due to it currently being used, you can remove it by booting into Safe mode. 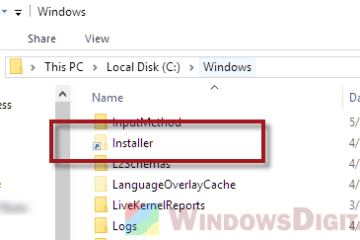 Description for sharing: If the Explorer.exe suddenly not responding or crashing randomly from time to time after Windows Update (particularly Windows 10 April update v1803) and showing Windows Explorer has stopped working error, here's how to fix it.